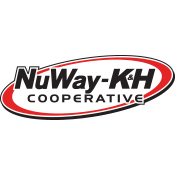 NuWay-K&H Cooperative is a local, farmer-owned, customer-focused company supplying agronomy and energy products and services. With the main office based in Clear Lake, IA, principle place of business in Trimont, MN and Operations based in Welcome, MN; NuWay-K&H Cooperative employs over 85 people full time and 50 seasonal employees who serve in excess of 5,500 farm and non-farm customers. As opposed to a private business, which focuses on generating profits for shareholders, a cooperative is owned and controlled by the customers it serves and operates for their benefit. The “co-op” provides goods and services needed and requested by its customers who, at the end of the day, divide any profits. NuWay-K&H Cooperative is controlled by a board of 15 member-elected directors and 1 appointed advisory director that makes policy decisions, approves major expenditures of capital and hires a President/CEO to guide the company’s day-to-day operations. Chosen for their vision, these directors realize the harsh realities of the agricultural industry. Previously: I worked for Mayo Health Services. My Personal Goal: To offer exceptional value to NuWay members by maintaining relationships and providing quality account services. Previously: Elementary School Teacher at St. James from 1994-1995 and 1999-2013. Project Manager for Firepond in Mankato from 1996-1999. Terminal Manager of the United Suppliers fertilizer plant at Welcome from 2013 to 2015. My Personal Goal: To help NuWay employees with the technology tools they need to do their jobs easily and efficiently. Previously: I worked at a bank in Fargo, ND as a Teller and then as a Loan Assistant. I began working at Pioneer Bank in St. James in 2003 as Loan Assistant, Consumer Lender, Real Estate Lender and finally as a Commercial Lender. My NuWay Start: April 1 2014 as Sales/Business Support Administrator. My Personal Goal: To continue helping NuWay grow and be successful, and to help the businesses and growers we supply succeed as well. Previously: I attended school at Minnesota State University and graduated in 2010. After college I worked as a Program Technician at the Watonwan County Farm Service Agency until 2014 then started working as an Ag/Commercial Banker at Pioneer Bank until getting the position of Finance Manager at NuWay Cooperative. My Personal Goal: To be able to offer affordable financing and credit options for area producers to help improve cash flow and to remain a viable business for the years to come. Previously: I came to NuWay right out of college. Previously: I have worked for NuWay since graduating from college. My NuWay Start: 1995. I’ve held several positions in Operations, Sales and Administration. My Personal Goal: To keep NuWay financially sound and viable while making sure we provide the best-in-class service and value to our owners. Native of: Corwith, IA - 4th generation to live on his family farm. Previously: I worked for a Plastic Manufacturing Company during college and worked on the farm during the summers. I also served 6 years in the Army National Guard in Communications. I also have served as a Public Sign Language Interpreter on an as-needed basis. My NuWay-K&H Start: I started working for K&H Energy Cooperative right out of college as a Staff Accountant. I currently serve as the Safety and Compliance Leader for NuWay-K&H Cooperative. I have served in a variety of capacities over the years, serving in various levels of Accounting and Management. During this time I have also maintained my CDL in order to be a back-up to our drivers. My Personal Goal: I believe “covering the details” is important to success. Success comes in many forms such as the safety of our Work force, quality service to our Customers, profitability, and growth. I wish to contribute to all of these areas by helping our Cooperative “cover the details”. Previously: I worked as a farm laborer through high school and at CHS’s soybean crushing plant in Mankato for two years after college. My NuWay Start: 2007 as Credit Manager and as CFO since 2011. My Personal Goal: To keep NuWay’s brand a positive reflection of our community and members. To keep NuWay stable, strong and headed in our current positive direction for many years to come. To grow the company through new programs and diverse ideas that set NuWay apart from its competition. Previously: During high school I started working for PCM in one of their sow units. Then I got a job at Jakes Pizza as an Assistant Manager, which went from a part time job to something I stuck with through college before I was hired by NuWay. Both jobs brought invaluable experience and helped shape me today and made me appreciate the Agriculture industry. My NuWay Start: Was a summer intern in 2014-2015. Then was hired full time August of 2016. My Personal Goal: Be able to follow the footsteps into Management, utilizing what I have learned from leaders and current managers. A goal I have is to be able to expand our Energy business, especially our warranty program for our farmers. Previously: I earned a geography degree from Mankato State University. I worked for an independent crop consulting group and a precision ag software company as their Midwest Account Manager. My NuWay Start: I started in 2001 with FarmRX, a brand of NuWay Cooperative. I’ve been manager/lead specialist since 2009. My Personal Goal: To keep NuWay and its owners ahead of the curve with precision ag data, while using technology and data to make the company more efficient. Previously: I worked at the Fairmont Area Chamber of Commerce for 11 years as Receptionist, Marketer, Event Planner and Social Media Specialist. My Personal Goal: To find new and creative ways to market our company and the products we sell. Previously: After earning a degree in agronomy and ag business from South Dakota State University, I interned with NuWay Cooperative and WinField in the summer of 2008, transitioning to Answer Plot® Trainee in the summer of 2009. My Personal Goal: To put the growers I work with in the best position to succeed. Previously: I did landscaping work at the Sherburn Nursery during college and interned with WFS (now CFS) for two summers. My NuWay Start: In 2010 as a Soil Sample Crew Leader with FarmRX. My Personal Goal: To grow the database program and continue helping farmers make decisions with the data. Previously: U.S. Army Combat Engineer: two years in Korea and one year at Ft. Carson, Colorado. Cropmate Applicator: two years at Imogene, Iowa. My NuWay Start: 1991 as Applicator and Propane Delivery. My Personal Goal: I would like to bring NuWay’s excellent service to new customers. Previously: I have worked for NuWay Cooperative my entire career. My NuWay Start: 1996 as Fertilizer and Pesticide Applicator at our Sherburn location. Over the years I’ve served as Assistant Location Manager in Sherburn and as Site Specific Coordinator. My Personal Goal: To Find innovative, practical and sustainable ways to help our member-owners remain profitable in their operations and businesses. Previously: I worked 15 years as a Sale Representative for a printing company before I started working for NuWay-K&H Cooperative. My NuWay-K&H Start: I started working for K&H Energy Cooperative in October of 2012. I am currently a Certified Energy Specialist for NuWay-K&H Cooperative. My Personal Goal: I want to continue to find solutions for customers that make sense for them and the cooperative. I also want to be part of a team that help each other when needs arise. Previously: I worked at Internships with local co-ops and WinField. My Personal Goal: To support local producers by giving them tools to succeed and be profitable. Previously: I worked for 34 years in ag banking. My Personal Goal: To expand NuWay’s crop insurance department. Previously: I worked four years for Minnowa Construction, building and repairing bridges. My NuWay Start: 1999 as an Applicator in Operations. I later worked as Operations Manager/Dispatch. My Personal Goal: I want to form great relationships with the NuWay staff and growers I work with. Previously: I started in March 1980 with Dunnell Co-op, after graduating from Minnesota Valley Technical Institute. My NuWay Start: In 1980 when Dunnell and two other co-ops formed NuWay Cooperative. I have worked as the Agronomy Plant Manager in NuWay’s Dunnell, Sherburn and Welcome locations before moving to Trimont office as an Account Manager. My Personal Goal: To provide our patrons with agronomic products and information that helps make their operations successful and profitable. Previously: I worked as an ag educator for 10 years at the post-secondary level. For five years I owned and operated the Trimont Greenhouse, as well as farmed for eight years. My NuWay Start: As an applicator in operations. I ran a sprayer, applied anhydrous, delivered propane amongst other tasks. My Personal Goal: To suggest and educate about the products and services NuWay provides to help our patrons be successful and profitable. Previously: I attended school at the University of Minnesota where I obtained a Bachelor's Degree in Agricultural and Food Business Management. I also interned for Land O'Lakes within their finance division and interned with NuWay over the summer of 2016. Personal Goal: My goal with NuWay is to expand my agronomic and sales related knowledge, to get to know the coop system and our growers, and to be a strong, positive, and effective employee to help prepare myself for other roles within the agronomy industry and within NuWay. Previously: I worked for WFS (now CFS) right out of college. Previously: I worked for Schwiess, Inc., and FCA. Previously: I worked for B&B Gas Piping Plus, 2007-2014. My Personal Goal: To keep all patrons safe when using propane. Previously: I started at Cominco American in 1975. Cominco was sold to Kaiser Steck, then Vigoro, then Cenex and then to NuWay in 1975. My Personal Goal: To do the best job I can for the customers and for NuWay Cooperative. Previously: Farmed and worked on a local hog farm. Previously: I worked for Pacific Telephone/AT&T as a Directory Assistant and Long Distance-International Operator. I also worked for Sears as an Appliance Parts Manager, Store Office Manager and Appliance Tech Manager. My NuWay-K&H Start: I started working for K&H Energy Cooperative in August of 2010. I am currently the Energy Operations Transportation Coordinator for NuWay-K&H Cooperative. My Personal Goal: To provide outstanding customer service, to let our customers know we are their partner in the energy and agronomy business. To use the skills and knowledge I’ve developed through great leadership to advance our company in its success for now and the future. Native of: I was a Navy brat. My family lived in Japan, California, Washington and Montana. Previously: After college and an enlistment in the U.S. Army, I worked as a Job Site Supervisor for MidStates Mechanical and as Plant Manager for Continental Carbonic Products, Inc.
My Personal Goal: Provide great service to NuWay customers and keep them safe. Previously: I worked for eight years with Hempeck Construction. Previously: I worked in retail management for 25 years in the Twin Cities metro area and outstate. My Personal Goal: To help NuWay in its daily operations—specifically to maintain propane tank info and maintenance to be its best. Previously: St. James Country Club and Quality Appliance and TV in Mankato. My NuWay Start: 2004 as Operations Staff and later as Operations Supervisor. My Personal Goal: To provide excellent customer service with quality employees through service, delivery and timely application. Previously: I worked commercial and residential construction for eight years. Previously: Rosen Livestock and Crop Builders. Previously: I served eight years in the U.S. Army, and I worked construction before starting at NuWay. My Personal Goal: To learn all I can while employed with NuWay. To be able to do any job at NuWay when needed. Previously: I worked for 10 years at Serta Mattress with my last 3 year as a Supervisor. I currently am attending college to receive my AA degree in Business. My NuWay-K&H Start: I started working for K&H Energy Cooperative in September of 2014 doing Propane Sales and Service. I am currently the Energy Operations Service Department Lead for NuWay-K&H Cooperative. My Personal Goal: My goal is to continue to learn as much as possible about the entire coop, all while working my way towards management, and assisting the coop and its patrons in any way that I can. Previously: Handyman Hardware in St. Cloud; Johnson OK Hardware in St. James; Cenex LP Gas Plant in St. James. My Personal Goal: To do the best job I can for NuWay. NuWay-K&H Cooperative provides for and gives back to the communities in which our members and our employees live and work. As a major employer offering good-paying jobs and career opportunities, we’re a force for good—attracting local talent to stay and raise their families and new talent to settle here. NuWay-K&H Cooperative is also an engaged corporate citizen, sponsoring and participating in local government, education, service organizations and events with the aim of preserving and enriching lives. Each year, NuWay-K&H Cooperative participates in and donates to many community events such as parades, 4-H achievement days and county fairs. We purchase thousands of dollars in premiums at livestock auctions held during these events, supporting the important role 4-H plays in the developing future ag leaders.